As promised the BBC official Doctor Who Website has released the prequel for The Curse of the Black Spot which airs Saturday May 7 on BBC America. Although, in my opinion, I'm not sure why you would want to (except, of course, for the D.C. Fontana episode). Just for fun, here's a "Green Lantern" trailer from an alternate universe (YouTube), where "Firefly" star Nathon Fillion landed the role. The fanmade video is two years old, but still pretty amazing. Enjoy ... and wonder what might have been. Here are a couple of things to get you excited for the Green Lantern movie. I'm a little bit hesitant about the enemy of the movie. Using Hector Hammond was ok but adding Paralax. Well it might complicate things. But then again it might lead into Sinestro becoming the arch enemy of Hal Jordan. This is a riot. You can now buy a poster of the painting of the Doctor seen in last weeks Impossible Astronaut. 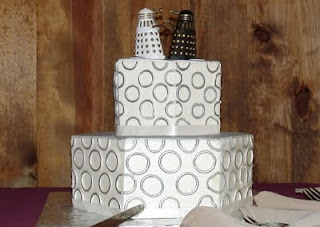 The BBC Doctor Who website will be doing another prequel. 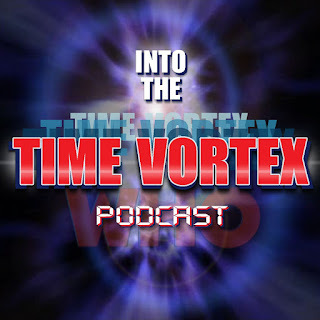 This time for episode 3 The Curse of the Black Spot. Here is a tease for the prequel. This is the movie of the Summer that everyone wants to see. I can't wait to see the battle. "Game of Thrones" has been a big hit on HBO. No, I haven't seen it. I could give you every spoiler imaginable because I have read the book, but I won't. Today is a big day for those of us who have read the series, because author George R.R. Martin announced he has finished "A Dance With Dragons," which is actually the fifth book in the series - and the first since "A Feast for Crows" in 2005. Seems like an eternity. The adventure continues July 12. Oh, the "Kong" reference? That was Martin's pet name for the project because it had turned into a beast for him over the years. The series is highly recommended if you don't mind watching favorite characters that you assume will continue throughout the series get killed off. Click here for more on Martin. Click here for more on the HBO series. CW made it's announcements for renewals a bit early for Vampire Diaries and Supernatural. Here is the newest trailer for Torchwood. Nothing to spectacular. Hopefully a better one will emerge in the coming weeks. DC Comics Action Comics celebrates it 900th issue today. Action Comics # 1 came out on June 1938 and of course it's main hero is Superman. So in a comic book world where books are stopped and renumbered for reboots it is really cool and special that a comic book has made it to 900. Congratulations Superman. 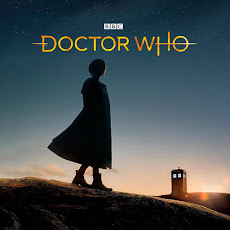 Doctor Who has been nominted for a Hugo award in Best Dramatic Presentation, Short Form. Vincent and the Doctor, A Christmas Carol, and The Pandorica Opens/The Big Bang will be representing Doctor Who. 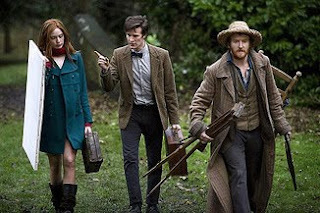 I hope Vincent and the Doctor wins as that story was my favorite from last season. 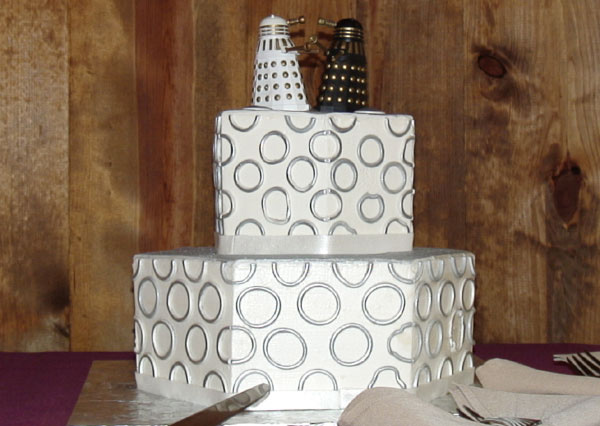 A list of all Hugo Award nominees can be seen at this link. DC Comics Animation and Warner Video will be releasing on DVD and Blu Ray a Green Lantern adventure called Emerald Knights. It's a collection of six linking stories that take place to form one story. This adventure will be released in June and the cool thing about it is that Nathan Fillion of Firefly fame will be the voice of Hal Jordan. Nathan Fillion was what a large amount of Green Lantern fans actually wanted to play Hal Jordan in the live action movie. Check out the trailer. 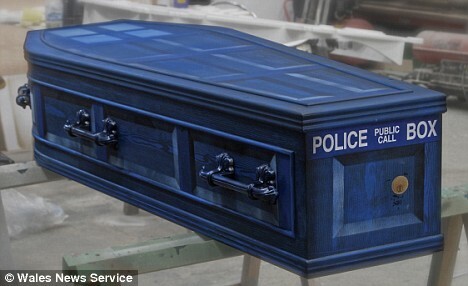 After all the wait and all the trailers the new series of Doctor Who is finally here. The six series starts of with a bang. I mean a BIG BANG. Every season opener I eagerly look forward to and most of the time I am let down. It is hard to live up to expectations of course but surely Steven Moffat can break this pattern of sub par openers for the series. Well, almost. Thanks to Andy for posting this link first on Facebook. It's entertaining. 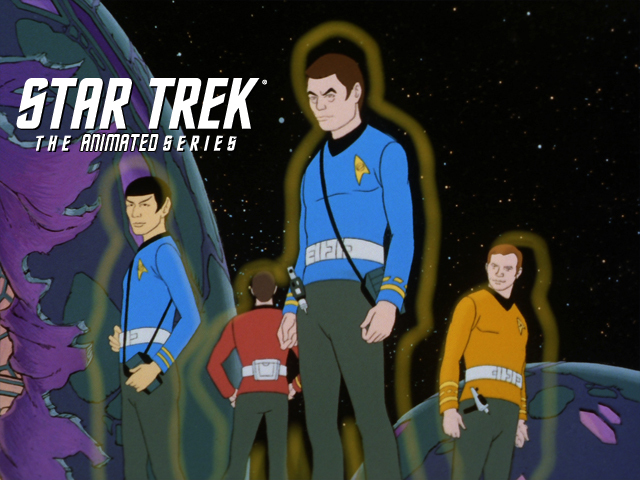 For anyone unfamiliar with this group, Star Trek: Phase II is a collection of fans that produces movies based on the original "Star Trek" series. Actually, calling them fans does not do justice to these devotees. 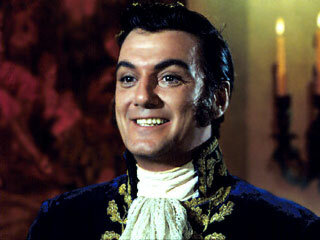 The costumes, sets and special effects are often better than the 1960s series. 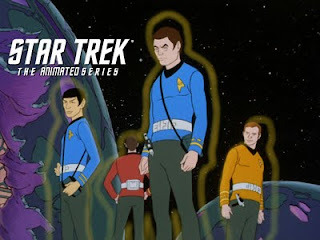 Just like "Trek," it has a mix of decent and poor writing, bad acting, an awkward love scene involving Captain Kirk and, yes, a Redshirt dies on the away mission. Judge "Enemy Starfleet" for yourself. I recommend "Source Code" for anyone who enjoys intelligent science fiction thrillers, not unlike last year's "Inception" (sorry, Michael Bay fans). It's science fiction without aliens. The most alien thing about the movie is that Hollywood managed to make a film that forces audiences to think instead of distracting/overwhelming them with special effects (sorry again, Michael Bay fans). 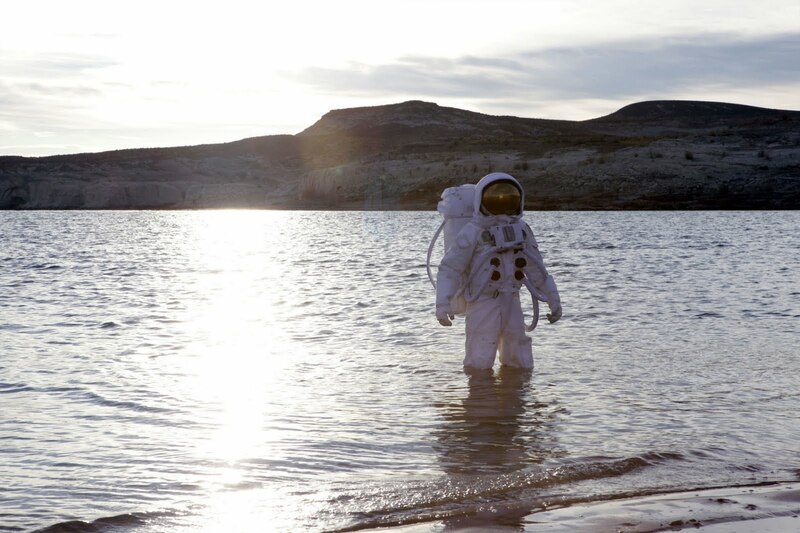 It's from director Duncan Jones, who gave us the critically acclaimed "Moon" in 2009, and it may be an even better film. Jake Gyllenhaal plays a soldier, Colter Stevens, who wakes up in the body of another man on a passenger train. His mission is to find out who blew up the train - yes, that's past tense - and, more importantly, is plotting an even bigger attack on the city of Chicago. The main cast members - Gyllenhall, Michelle Monaghan, Vera Farmiga and Jeffrey Wright - are superb in their roles. Gyllenhall, in particular, portrays Stevens with a dual intensity as he pursues his mission while trying to piece together his own past. Check out the details - "Loki" on the dog dish, the "Stark" coffee mug ... and others. July 22: "Another Earth." Another what? Check out the trailer. 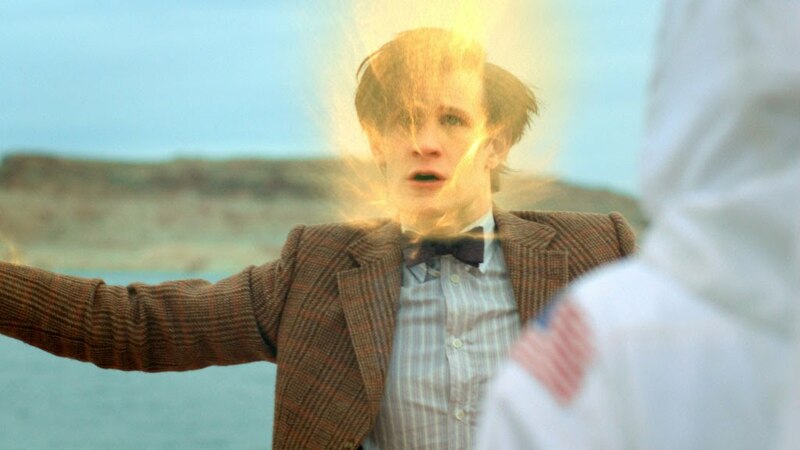 The official Doctor Who website has reported that a special tribute will be shown this Saturday after the Impossible Astronaut. 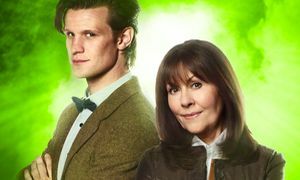 The 15 minute special will air on CBBC and will be a collection of clips and stories from her career in Doctor Who and The Sarah Jane Adventures. Doctor Who Magazine has reported on Twitter that a dedication will be shown before the Impossible Astronaut. 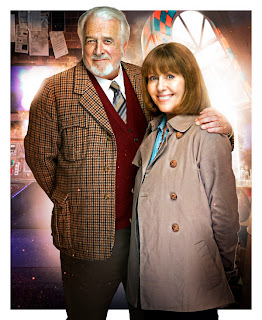 No news if there will be any tribute for Nicholas Courtney who died earlier this year. 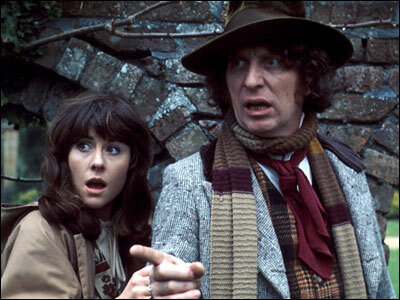 It is with great sadness to hear that Elisabeth Sladen has passed away. 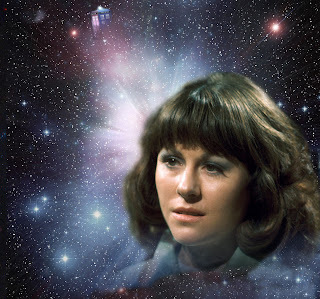 Known and loved by many as the Doctor's companion, Sarah Jane Smith, Elisabeth Sladen remains one of the most popular actresses in the show's history. She first appeared on the show in 1973 and portrayed the extremely popular character until 1976. She appeared along side Jon Pertwee and Tom Baker during that time period. 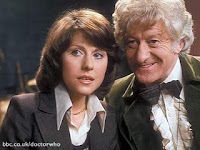 As Sarah Jane she made appearances in The Five Doctors and a pilot series called K-9 & Company. 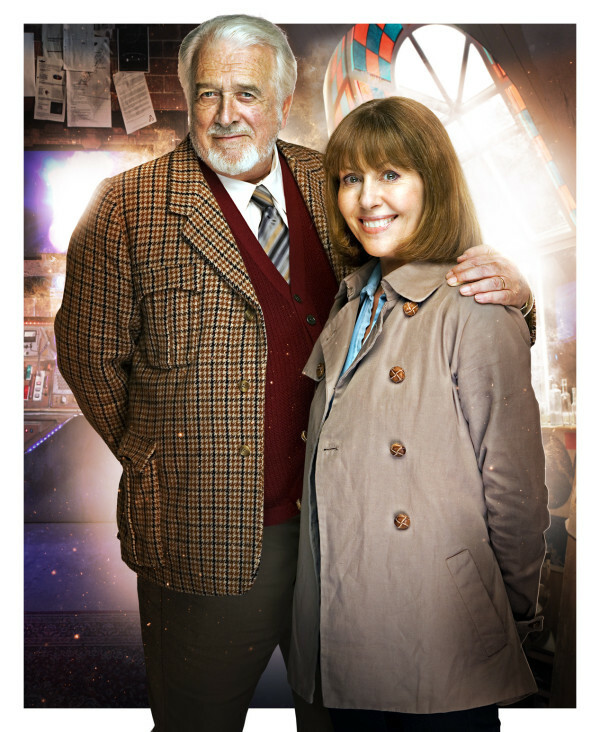 She would reprise the role in 2006 in the new Doctor Who series with David Tennant and star in the spin-off The Sarah Jane Adventures It was there that Sladen continued to bring us our beloved character and met the latest Doctor played by Matt Smith. Sladen had been battling cancer for some time. She will be missed. Our thoughts and prayers go to her family. Here is a new trailer for the Daniel Craig and Harrison Ford movie Cowboys and Aliens. Cowboys and Aliens is a movie based on the 2006 Platinum Studios graphic Novel created by Scott Mitchell Rosenberg. 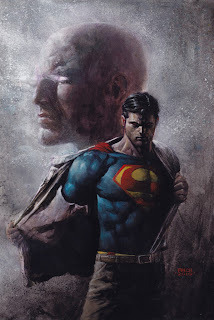 The graphic novel was written by Fred Van Lente and Andrew Foley and drawn by Luciano Lima. The movie will be out this summer and is directed by Jon Favreau the man who directed the last two Iron Man films. 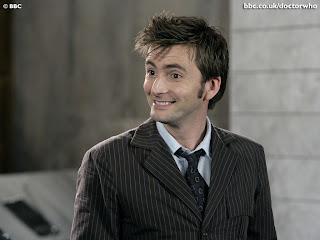 I kind of find it cool that the Tenth Doctor and myself both turned 40 in the same year. 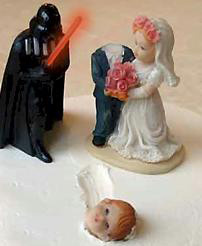 Well there's geekiness for you. 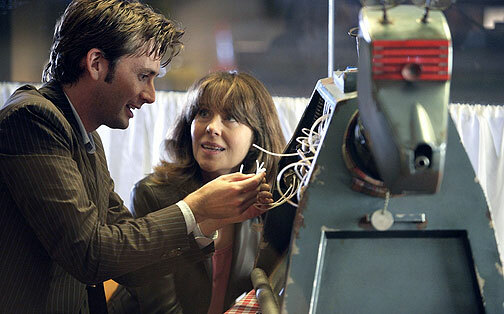 This is old news from 2009 but I stumbled across it while looking for photos of the TARDIS for the China article. 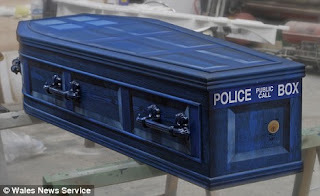 A Doctor Who fan who died in an accident had a Doctor Who style funeral complete with the Doctor Who theme music and a TARDIS coffin. Readings were quotes from the series. It is a sad story of course but what an original and cool way to be sent off!! 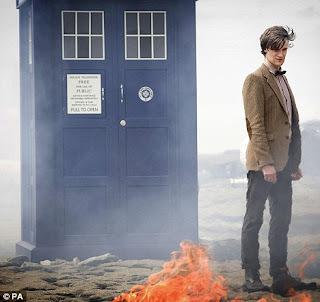 The Chinese government has banned depictions of time travel on television stating that it is unhealthy. Two recent Chinese TV shows included history changing ideas that the government didn't like too much. They also feel that time travel is more about statements about current events and is therefore dangerous! 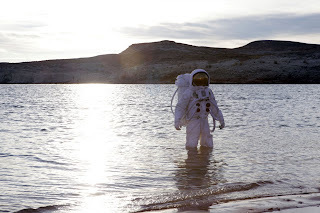 The BBC has released a new trailer for the Impossible Astronaut which will debut next Saturday at 9PM on BBC America. 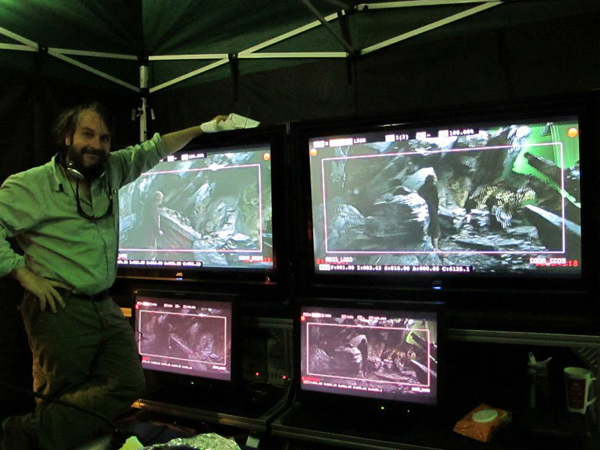 Peter Jackson posted on Facebook that his two part Hobbit film will be shot at 48 frames per second. The usual frame rate is 24 but Jackson states that an increased rate will reduce the amount of blurriness and judder usually present in all films. The decision is to support the 3D format which stands to benefit the most from this. The higher rate will make the 3D images appear smoother and more effective. I feel that making the images appear more fluid may make things appear they are on video and therefore, cheaper looking. It may make the films look more real but I think film has an artistic look that can be more pleasing than something like video. The 48fps may ruin the film feel. Of course I have not seen it and perhaps it will be just fine. Not sure how many theaters will convert to 48 fps but I would be very eager to see how it looks. Here is the BBC America Doctor Who Trailer. Matt Smith and Karen Gillian grace the cover of the Radio Times this week. Just more excitement to build up for the premiere Easter Weekend. 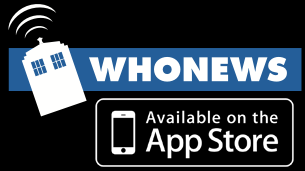 The Classic Peter Davison stories Kinda and Snakedance will be released today. These two Doctor Who stories center around Tegan and her struggles with the Mara. If you don't remember the Mara are a snake like race that take over the mind. BBC America will be airing the new season of Doctor Who on April 23 at 9pm. 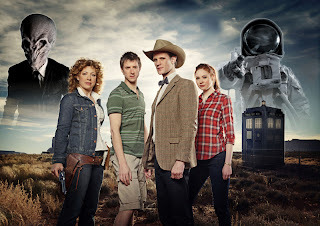 "The Impossible Astronaut" is a two part story with the Doctor, Amy, Rory and River Song visiting the United States. Part 2 airs the following day at the same time.